Throughout the summer of 2014, the Serie Project produced a series of special, limited edition prints for our 2014 Residency. For 20 years, we have upheld the mission of the Serie Project by continuously collaborating with both established and emerging artists from all backgrounds and mediums to help them achieve their individual aspirations through the art of serigraphy. This season, we continued our mission by welcoming back a few of the great artists we have had the pleasure of collaborating with, and added a new artist to our Project, Beili Liu. In this blog post you can find more information on each participating artist and a little about their print. Click on the images below for more information on their print and click on the artist’s name to view their website! Beili Liu was born in Jilin, China, and currently lives and works in Austin, TX as an associate professor at the University of Texas. Liu received her MFA in Mixed Media from the University of Michigan, Ann Arbor in 2003 and BA in Graphic Design from the University of Tennessee in 2001. Liu is “a multidisciplinary artist whose time and process based installations explore subjects of cultural specificity and overlaps, transient or persistent energy, and conflicting and confluent forces. Thread, paper, incense, wood, salt, water, these simple materials and compounds are the vehicles by which Beili Liu hand crafts microcosms of fragility and poignancy. By working with these everyday materials, Liu manipulates their intrinsic and bare qualities to extrapolate much more complex cultural narratives. 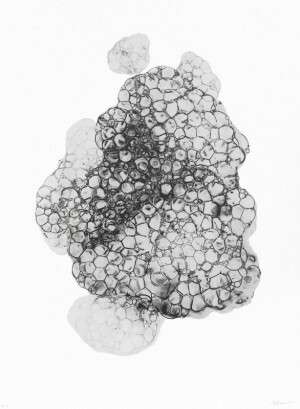 Janet Koplos reviewed her works as being ‘materially simple but metaphorically rich’” (Art in America Review, April 2009). Alma Lopez was born in Mexico and raised in Los Angeles. She received her BA from UC Santa Barbara in 1988 and MFA from UC Irvine in 1996. Her work spans many categories from serigraphs, paintings, and photo-based digital prints to public murals and videos. She is dedicated to issues of representation and social justice, and takes as her subject the daily lives, mythologies, and dreams of people of color. Through visual scholarship, she deconstructs and re-figures cultural icons, including La Virgen de Guadalupe, and allows them to exist in radically new ways. Since the 1992 Los Angeles uprisings, Lopez has been engaged in collaborative public art making that helps to bridge black and brown communities. Lopez currently lives in Los Angeles, where she helped co-found three organizations: L.A. Coyotas, Tongues, and Homegirl Productions. Gaspar Enriquez was born in 1942 in El Paso, TX. He received a BA from the University of Texas at El Paso in 1970 and an MA in metals from New Mexico State University in 1985. A lifetime spent mostly in El Paso’s Segundo Barrio has given Enriquez uncommon insight into those he chooses to represent in portraits. From pachucos to cholos, his work immortalizes “a lifestyle of attitudes…defined by mannerism” that is part of his daily life in a two-culture environment. 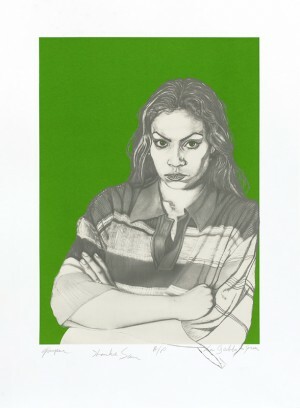 His artwork serves as a record of his experiences, ideas, and feelings about the suppression of Chicano culture. Enriquez is retired from teaching and now works full-time as an artist in San Elizario, TX. Enriquez’s latest work employs airbrush as his primary artistic medium, but he is also well versed in metalwork. His current project involves restoring an ancient adobe building to studio spaces in the 400-year-old presidio of San Elizario in El Paso’s Mission Valley. Tony Ortega was born in Santa Fe, New Mexico in 1958 and grew up between his birthplace and Denver, Colorado. He received a MFA from the University of Colorado at Boulder in 1995 and is currently an Assistant Professor of Fine Art at Regis University. Ortega received the Governor’s Award for Excellence in the Arts in 1999 and the Mayor’s award for Excellence in the Arts in 1998. His work is about presenting the Latino experience through individual slices of life of the community, family and many other sectors of present-day society, both urban and rural. 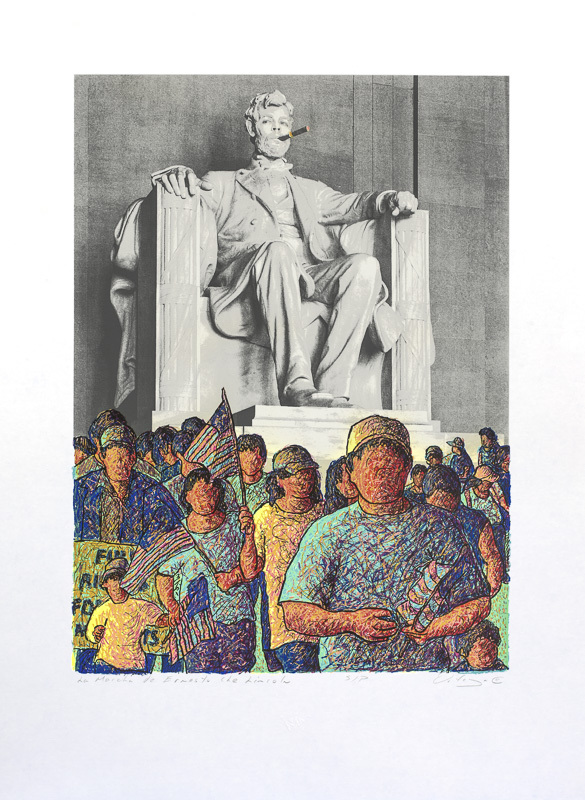 Each artwork is part of a total picture, the Latino experience: not as an isolated phenomenon but as an active, integral part of American society. The artwork illustrates the changing environment of the United States. Vincent Valdez was born on the south side of San Antonio, TX in 1977 and began drawing at an early age. His first artistic influences were the canvases of his late great grandfather, Jose Maria Valdez, who was an artist and muralist from Spain. He began painting at age ten painting murals. Upon graduating high school in 1996, he accepted a full scholarship to the International Fine Arts College in Miami, Florida. In the fall of 1997, Valdez accepted a scholarship to the Rhode Island School of Design where he received his BFA in illustration in June 2000. 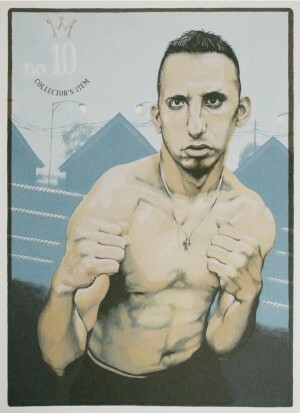 Vincent currently resides and works in a restored 1928 firestation in San Antonio, TX. A few exhibition venues that have held his work include: The Los Angeles County Museum of Art, The Snite Museum of Art, The Frye Museum, The Mexican Museum of National Art in Chicago, The Parsons Museum in Paris, The Smithsonian Museum of American Art, OSDE Buenos Aires, The Laguna Art Museum, The Bell Gallery at Brown University and others. This project is funded and supported in part by a grant from the Texas Commission on the Arts and in part by the City of Austin Economic Development Department/Cultural Arts Division believing an investment in the Arts is an investment in Austin’s future.